I am always on the lookout for unique office and cubicle accessories. 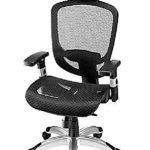 I'd like to share what I consider the Top 10 when it comes to unique cubicle and office gifts that you might want to look into for your friends, family, or coworkers. These are in no particular order of preference because I love all of these office gifts and use them all! 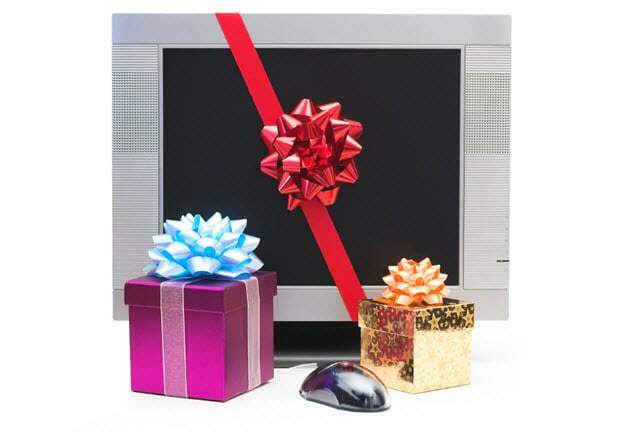 Check out these 10 Unique Office Gifts! 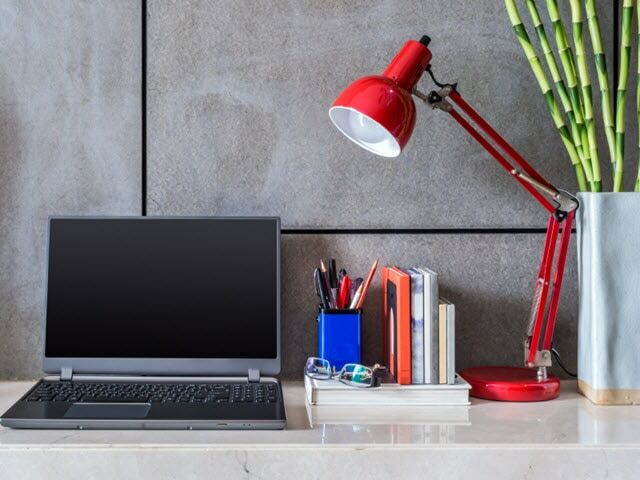 This state-of-the-art metal desk lamp LED will transform your office lighting! The multitude of settings for brightness, color, and temperature will allow you to set the mood in your home or work office. 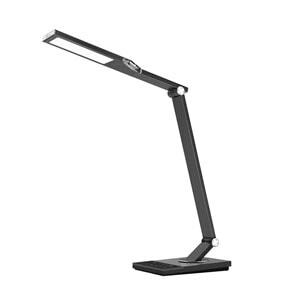 I just recently purchased this TaoTronics Metal Desk Lamp LED for my home office and my work office cubicle. I upgraded from my Sunlight Desk Lamp LED to this versatile metal desk lamp LED with it's various settings and features. If you want many more details about this awesome desk lamp, you can read more about it in this article. The article also contains a youTube video of me unboxing and using it. I can't tell you how happy I am with both of my TaoTronics desk lamps! The kicker for me was the USB port on the side of the base that I use to charge my phone at home and at work! If you want to buy a quality desk lamp for yourself, a family member, or a coworker this TaoTronics Metal Desk Lamp cannot come more highly recommended! 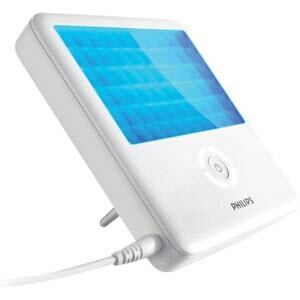 Light therapy is a proven treatment for Seasonal Affective Disorder. Those long, dark, winter days are right around the corner. I decided to take a big step in attempting to boost my mood and energy level when I recently purchased a Philips goLITE BLU Energy Light. I really wanted to utilize light therapy since I have no real access to natural sunlight during the day sitting in the middle of Cubicle Nation. I read a lot of great reviews on Amazon for this light therapy unit so I bit the bullet and shelled out the money for this intriguing product. Be advised that you don’t keep this on all day long like you do with my Trademark Home Sunlight Desk Lamp that I write about in this article so it really isn’t a replacement for that desk lamp. You run it at certain time intervals and light intensity based on your need and sensitivity. This article will give you a lot more details and it also includes a video of me utilizing it in my office cubicle. This is a great unit for heating up anything including soups, pasta, chili, and stews. Ditch that disgusting company microwave forever! I’ve owned my 20 ounce Crock-Pot Food Warmer now for almost a year and I am very glad that I bought this item. 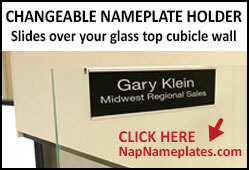 You can see many detailed images of me using it in my office in this article. Important Note: Since I bought my 20 ounce version there is a larger 24 ounce Crock-Pot Food Warmer that costs around $30. 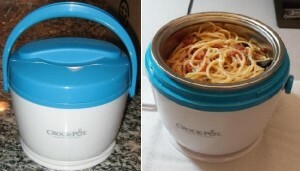 It has a cordless caddy, an On/Off switch, and a vented lid that supposedly helps warm the food more evenly. To be honest, for an additional $10 it's worth getting the 24 ounce model. Flip It is my most highly pinned pin on my popular Pinterest boards! 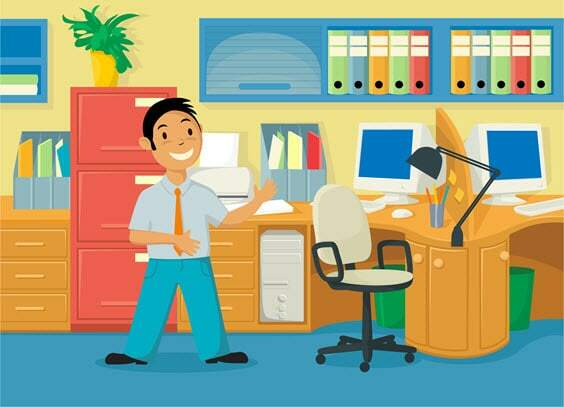 Have you ever gone to someone’s office trying to find that person and they weren’t in their office? 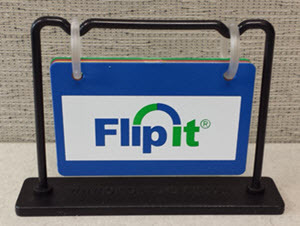 Of course you have and the inventor of Flip It perceived a need in the office environment and created this visual indicator that would indicate where that person happened to be at the time. 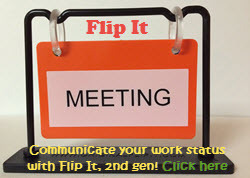 Flip It are small plastic cards, the size of a credit card, that have various messages on it such as Out of Office, Break, Meeting, Lunch, and Vacation (check out this article which includes a youTube video). It works in my cubicle environment when I am out to lunch, in a meeting, or on vacation. 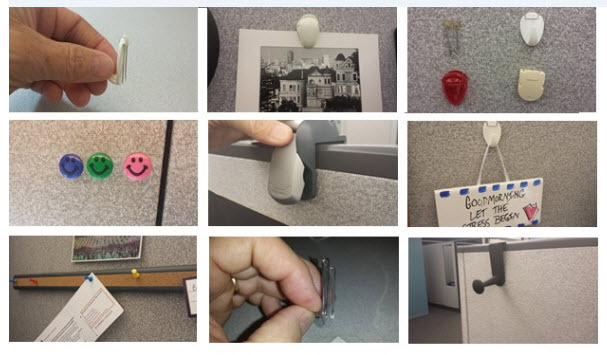 It's a simple,but awesome office product! 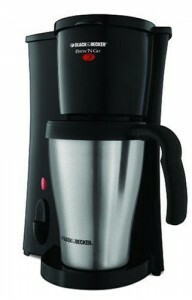 Forget about the stale Keurig coffee and brew it fresh with this great one cup coffee maker! I have owned this awesome compact one cup coffee maker for over 2 years now and use it every morning to brew up a piping hot cup of Starbucks coffee. It was recommended to me by a friend of mine who is also a coffee blogger and boy was he right when he recommended this model! I write about it in more detail in this article. I also sprung for this Hario Burr Coffee Grinder that I use in conjunction with my Black and Decker. You can see it in action here. I admit I am a coffee addict but you must admit that my coffee is about as fresh as it gets! If you aren't a Keurig fan (I'm certainly not!) and love to have your coffee your way, this inexpensive and small footprint Brew N Go will certainly do the trick for you! There is a soft neckband attached to the earbuds that is extremely comfortable. The on/off and pairing button is on the neckband and there is a handy inline remote for adjusting volume and adjusting noise cancelling. 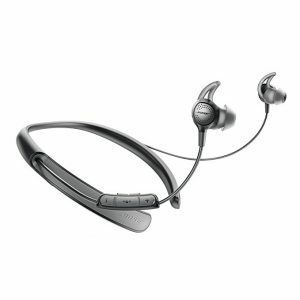 The built-in microphones allow you to be heard clearly while talking on the phone or attending a meeting. These Bose QC30 Noise Cancelling Bluetooth Earbuds are the best I have found when it comes to cancelling out background noise in the office or at home. If you want some more details and images of these exceptional, high quality earbuds, you can check out this article. These days the open office concept is a lot more common in the workplace and cancelling out background noise allowing you to focus is so important. My boss actually had been using these top flight earbuds for about a year before I broke down and bought them. I am almost mesmerized at how well that they work. They aren't cheap but if you want to treat yourself, a coworker, or your spouse with a quality gift these Bose QC30 Noise Cancelling Bluetooth Earbuds are the best I have experienced. Sometimes you just have to add some levity to your office environment and this really cool and unique item will do just that for you! 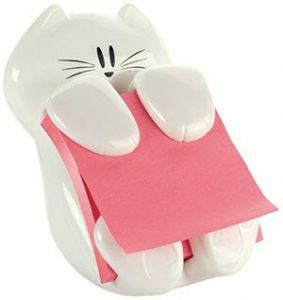 The Post-it Cat Pop-up Note Dispenser is a rather whimsical and useful product for adding some practicality as well as a really cool office accessory. The Post-it notes pop out of the cat's hands in a unique fashion. You can read a lot more about it if you read this article including a youTube video. For short money this gift will make a big impression! The perfect spot to hang your headphones or earbuds. Just screw in the rubber-tipped screw to the underside of your desk and you're in business. No assembly required! I actually purchased two of these 6AMLifestyle Headphone Hangers, one for my office cubicle and one for my home office. I tend to think this is a really cool office accessory and you'll always be able to find your headphones or earbuds whenever you need them. This article will give you more images as well as a youTube video that I filmed in my home office showing you how they work. These days everyone has either a headphone or earbuds that they use throughout the day. 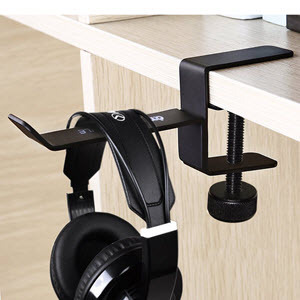 This 6AMLifestyle Headphone Hanger is a unique office accessory that would make a really cool office gift for a coworker or family member. 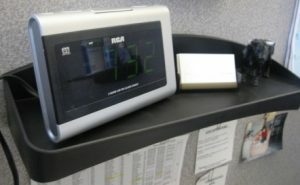 This is a really effective unit for moving items off of your desk and onto your walls. It's one of my favorite cubicle wall accessories. This Fellowes Plastic Partition Additions Shelf was one of the first products I bought for my office cubicle after I realized that my desktop was too cluttered! I wrote a detailed article about how to hang it here and it was simple and was up on my cubicle wall within minutes. It has been there now for more than 2 years and hasn't budged. If you want to move it to another area of your cubicle you can simply lift it up and reinsert the stainless steel needles in an another area of your cubicle wall. Great product, short money, and this is another one of my really big sellers on this site and one of the best office gifts you could give to a coworker! Don't let anyone sneak up on you anymore! 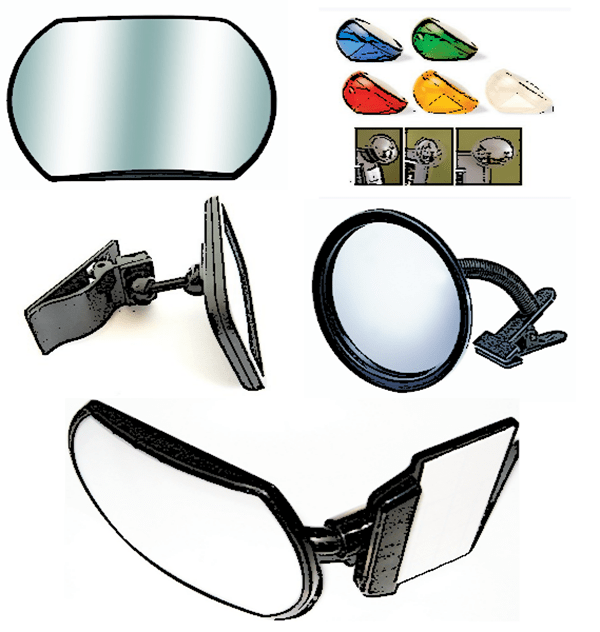 I couldn’t create a list like this without including my iView Computer Monitor Rear View Mirror. There are more hits on the article I wrote about this mirror than any other one on my site. In fact, this product has generated the most unit sales on this website! What I have noticed is that people don’t just order one of these, they order many. It's certainly one of the most popular office gifts on my site. This computer mirror allows me to see someone walking up to my desk without having to turn around. 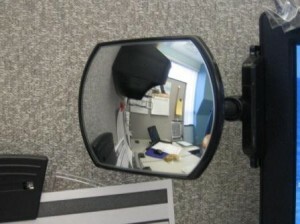 This article shows images of me affixing my iView Rear View Cubicle Mirror to my flat panel monitor in work. Check out my Monitor Mirror Review if you want to see some other monitor mirrors (including a youTube video). If you need any more detailed information on any of these office gifts, don't hesitate to leave a comment or use my Contact Me page. I own every product shown here and can give you more info if you need it! This is a cool little list with full of some great gift ideas. The coffee maker you’ve recommended seems interesting, I’ve never owned a coffee maker made by BLACK+DECKER, would you say that it’s better than the coffee produced by a Keurig? I am not a big fan of Keurig so yes, the coffee from the Black&Decker is excellent! Hi! Do you have any list of colorful objects and toys for the office? 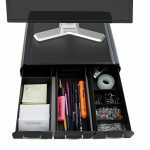 You can check out my Office Toolbox for a variety of different office products. These are perfect gifts for my officemates this coming holidays! This is my first time celebrating the holidays in an office and I’m really thinking of what to give to my colleagues. These products are so cool. I’m glad I could help and let me know what gifts you purchased.